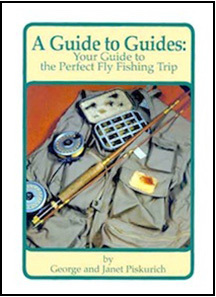 A Guide to Guides: Your Perfect Fly Fishing Trip is the book for anyone who is looking to try fly-fishing and wonders where to begin. George and Janet Piskurich share some of their own personal experiences with you, along with the thoughts of professional guides, and things they have learned over the years. In this book, you will also learn all about why should you hire a guide, what to expect from a guide and how to choose the right one, and what should your guide expect from you. You’ll also discover some interesting stories and facts about fly-fishing from George and Janet themselves.